Custom Emails Templates - You can use the customize the email templates with our graphical editor or using code. Customer Portal Widget - Embed code to place the login widget on your site. 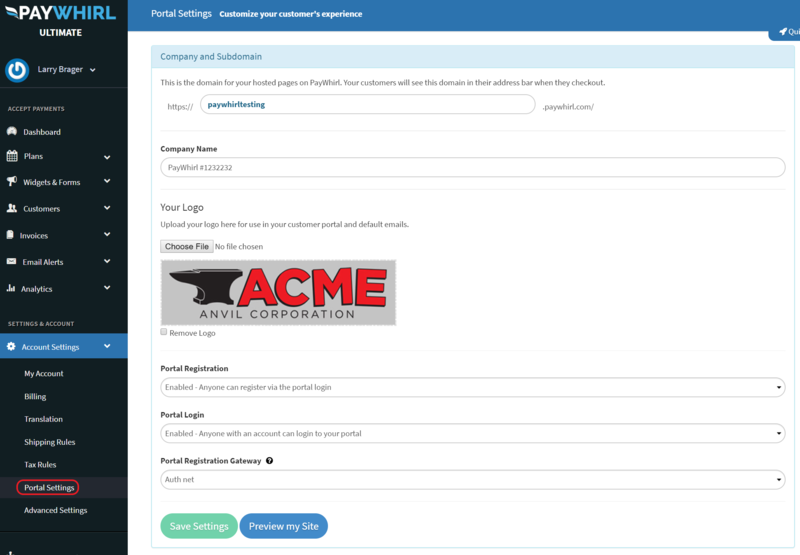 To edit the main design elements of your customer portal and checkout, click the menu item Account Settings > Portal Settings. The top section allows you to customize the url for the subdomain for your hosted widgets and portal. All widgets including the customer portal can be accessed from a stand alone page however, we usually recommend embedding them in a page on your site. This way so customers don't have to leave your site to make a purchase or update their account. 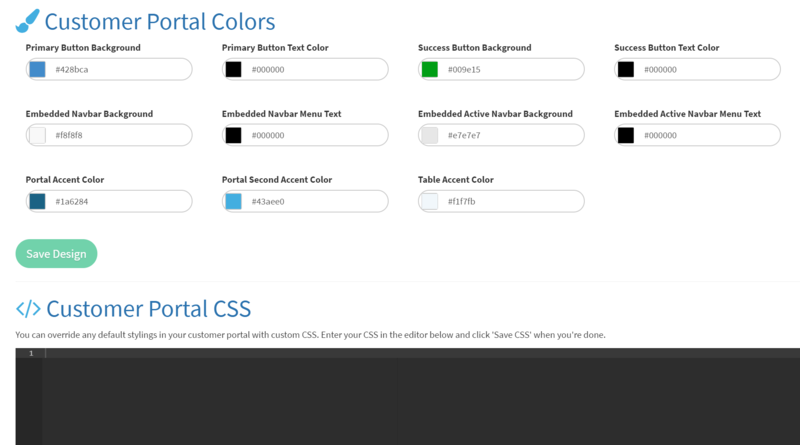 We are working on adding more color pickers and customization options, but some changes will require custom CSS overrides for now. If you have style / design questions please let our support team know and we will do our best to help if possible. If you don't mind a bit of code, checkout some of our developer docs for even more customization options, including an overview on including custom scripts on widget pages.